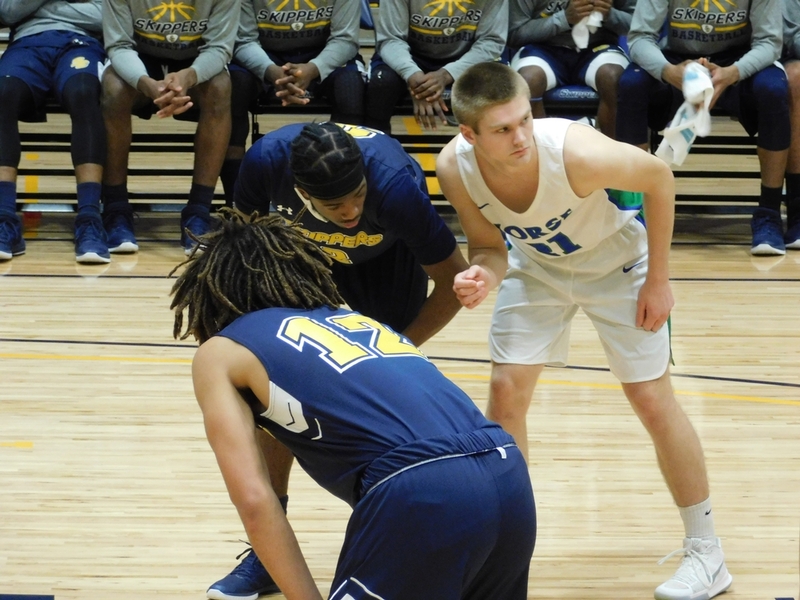 PORT HURON---The Bay College Norse men's basketball team got close on several occasions but couldn't catch the St. Clair Skippers and lost, 83-69, Saturday night in Port Huron. 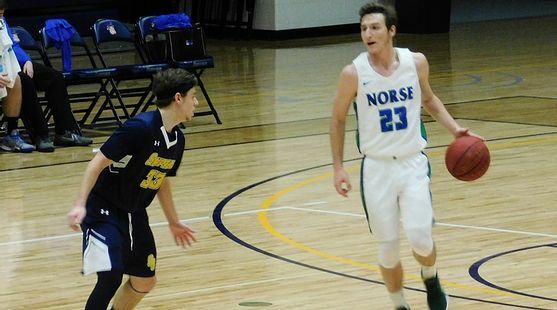 The Norse closed to within six points after falling behind by douible digits, but could not get over the hump as they lost their second game on the road trip. 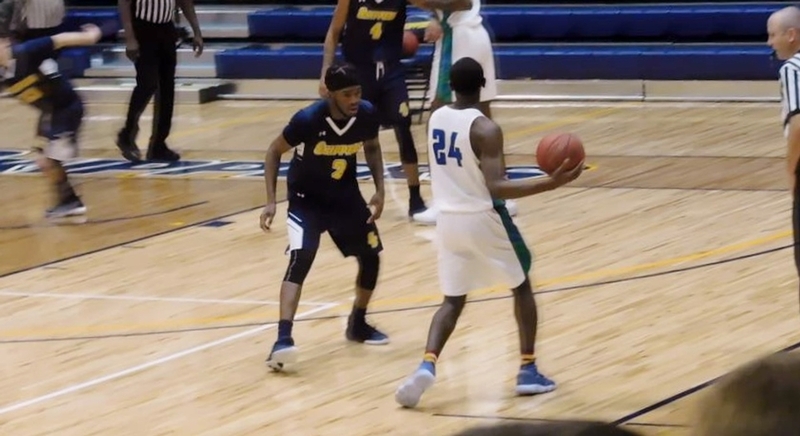 Bay College fell to 6-5 on the season, with seven of those eleven games on the road. 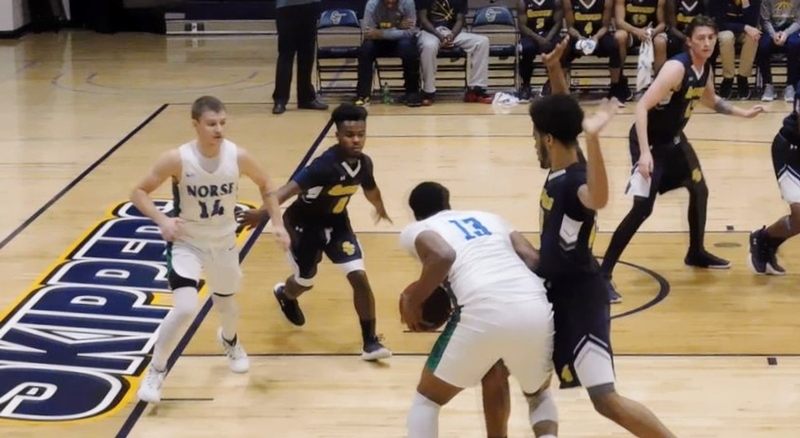 The Norse had success early, taking a 16-11 lead with 12:01 left in the first half after Rasonte Smith found Dontae Ellis cutting to the basket for an easy two. But nothing was easy the rest of the half as the Norse got bogged down and the Skippers went on a big run. Derrick Johnson's back-to-back triples in the final minute of the half turmed a 35-30 game into a 41-30 contest heading intio the locker room. 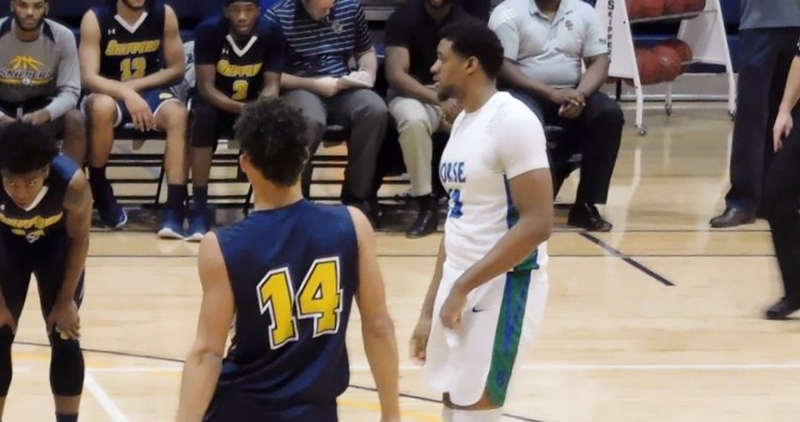 Norse guards Marcus McKenney and Alfonzo Fields were both saddled with three fouls in the first half, leading to extra minutes for Smith and Garrett Finkbeiner. The Norse chipped away in the second half, with McKenney getting a nice basket inside to cut the gap to 46-40 with 15:22 left. Then Dre Tuominen got hot. 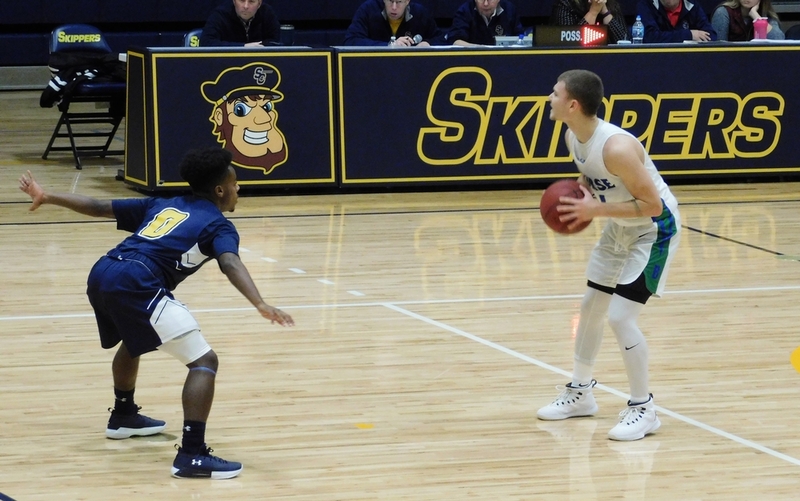 The Negaunee High School graduate scored just one point in the first half, but lit up the Skippers for four triples and 19 points in the second half. Problem is: the Norse were simply treading water and could not get the St. Clair lead below six. Bay was still down just 75-67 late in the game after Tuominen got a basket and free throw. But the Norse were outscored 8-2 the rest of the game. St. Clair (6-1) was led by Quintin Johnson's 21 points. Tuominen's 20 led Bay, and 6-10 Kobi Barnes had eleven points...including a three-point basket in the second half. Tyler Willette added nine points and 12 boards. 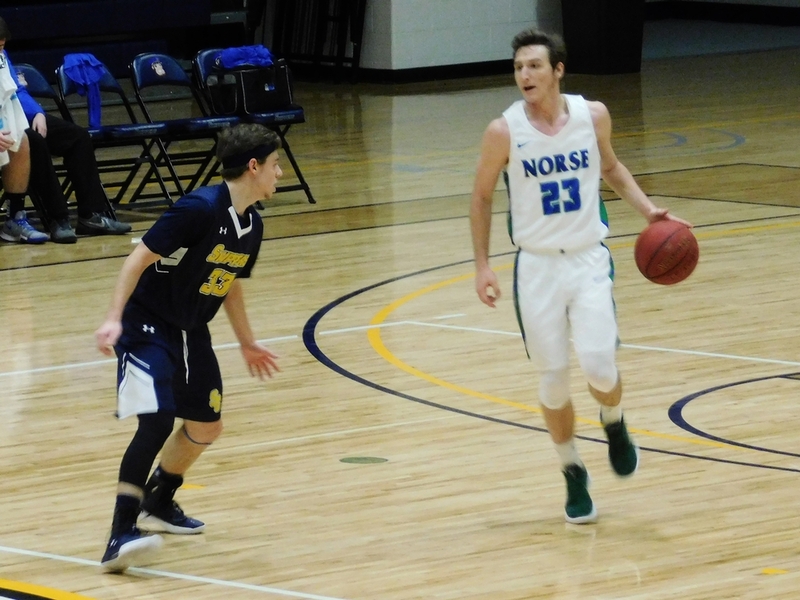 The Norse are on the road again Wednesday night against Alpena Community College. Game time is 7:30. It will be broadcast live on WMXG-FM (Maverick 106.3). 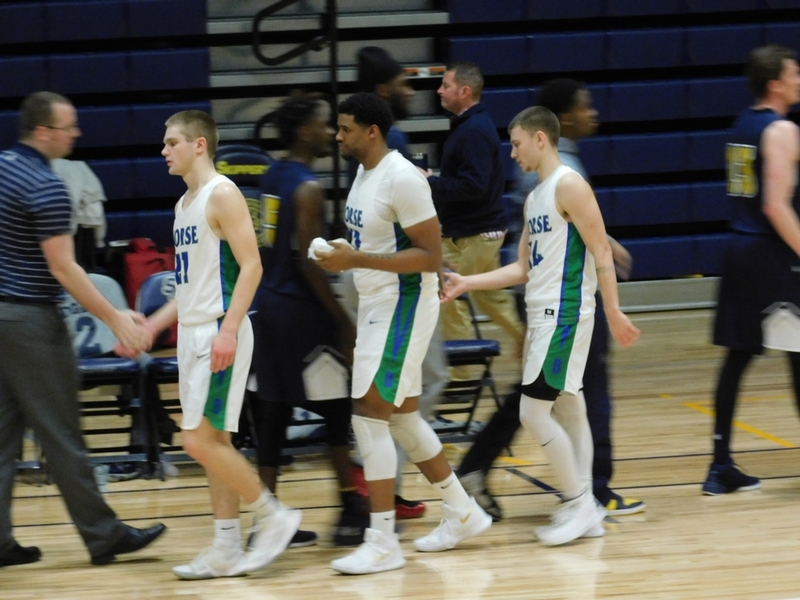 Click the thumbnails in the ARTICLE HIGHLIGHTS box above to see photos and videos, and listen to Jace Briggs' player spotlight interview.